His garage was his workshop. That’s where Homer Nagel became an expert gunsmith. He began customizing military rifles for hunting and shooting sports in 1942. Word spread and his reputation made it possible for he and his son, Robert H. Nagel, to establish a retail storefront. 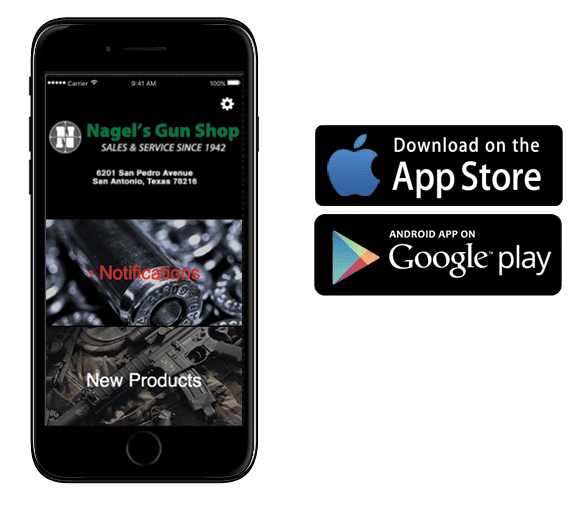 Nagel’s Gun Shop has since expanded to gunsmithing, firearms, accessories, knives, apparel, and gun safes. It is managed by Homer’s grandson and Robert’s son, Robert Nagel, Jr. Through strength, hard work, and sacrifice, the Nagel family has transformed Homer’s garage venture into one of the largest family owned gun stores in San Antonio, Texas.